How to Make Shiny Hair ? Ø If you want to remove dirt from your hair, then add the forth cup of apple cider vinegar in one gallon of condensed water. Now wet your hair with warm water, shampoo it and wash it. Pour two cups of this mixture on your hair and leave it for some time. Wash your hair with cold water. Use this mixture in every two weeks for clean, silky and smooth hair. Ø One egg, 1 teaspoon olive oil, 1 teaspoon lemon juice, 1 tablespoon castile soap, ½ cup of water and 5 drops of essential oils (according to your choice), then mélange all these ingredients and make an egg shampoo. Wash your hair with it and it will give you shiny hair. Ø Take baking soda and massage into your hair and scalp. It helps to absorb oil from your hair and loosens the dead skin on the scalp. Wash your hair with water. 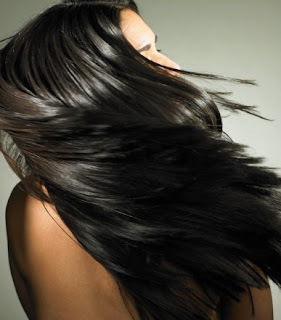 In starting hair would be dry but after few weeks you will get a smooth and shiny hair. Ø If you have an oily hair, take two tablespoons of mint in one and half glass of water then boil it for 20 minutes. Pour the mixture and mélange it with the regular used shampoo. Use this mixture on alternative days; it will help to absorb the excess oil from the scalp. Ø In a cup of coconut milk add two tablespoons of gram floor then apply it on your scalp and massage gently. Leave it and wash your hair after five minutes. It is a very effective home remedy for dry hair. Use this method once a week. Ø 6. For normal hair, soak one teaspoon of fenugreek seeds then grind these seeds and apply on your hair. After one hour rinse your hair with water and next day wash your hair with shampoo. It will make your hair glow and beautiful.